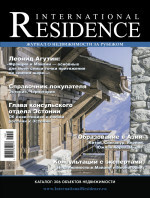 It is no secret that the Russian Overseas Property Market is not as strong as it was 2 years ago. Both the country and the consumers have been hit by a range of negative situations(sanctions, currency devaluation etc) and yet there remains an air of optimism in Moscow. The streets are full, people are shopping and most restaurants remain packed! With our Autumn exhibitions we felt that we had hit the lowest point with a slight increase int he number of visitors, however the situation was then worsened with the Russian-Turkish situation. With these backgrounds we opened the Moscow Overseas Property & Investment Show last Friday in Moscow with trepidation. 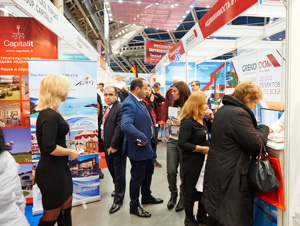 There were less exhibitors but, as I have personally experience many times in Russia) most experts had smiles on their faces as less participants equals less competition! As the doors opened on Friday a steady stream of visitors arrived at the exhibition and keep coming during the 2 days. On talking to many of our regular participants I could feel this 'cautious optimism' with many experiencing very strong enquiries, so maybe these miserable and difficult times are now improving. I have personally experienced Russia recovering from 2 economic 'crisis' and it always rebounds. I am confident that it will be the same this time and with the Moscow International Property Show taking place in April I will have a better view on the market. My advice: Don't give up on this market! Many old hands know what happens and that recovering always follows a decrease. They are all still here and enjoying this resurge of interest!